Understand software development literature that presumes knowledge of logic. How can I learn more? Here are some suggestions. 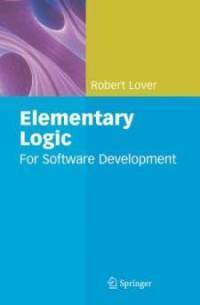 ISBN: 978-1-84800-081-0, Springer-Verlag London, 2008.
a course on logic for software development then take the course. for software development for them, then take those courses. development courses, and writing a book on logic for software development. Questions and suggestions should reach me at rel@logicforsoftwaredevelopment.com.